When a baby is deprived of oxygen before and during labor and delivery, the consequences to the child can be catastrophic. One serious complication of pregnancy that can result in oxygen deprivation is damage to the placenta, specifically, a condition known as placental abruption. At The Rich Firm, PC, our experienced Washington DC birth injury attorneys – some of whom are also licensed physicians – work with children and families who have suffered as a result of a failure to properly treat placental abruption during pregnancy. We can evaluate what happened, determine whether your doctors breached the appropriate standard of care and, if so, help you obtain damages and compensation. If not detected and immediately addressed by physicians and delivery room staff, placental abruption can lead to premature birth, dangerously low birth weight, and in some cases, the death of the fetus. 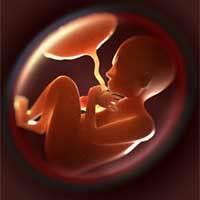 The placenta is a structure that provides oxygen and nutrients to a baby during pregnancy. It develops in the uterus and is attached to the uterine wall. During a routine delivery, the placenta detaches from the uterus after the child is born as it no longer serves the vital purpose of sustaining the child in the womb. However, in an estimated 1 out of every 100 pregnancies, the placenta will detach from the uterus well before delivery. This is called placental abruption. 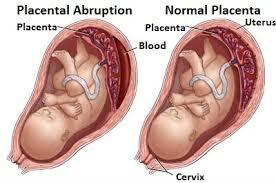 Placental abruptions usually happen in the third trimester of a pregnancy. However, they can occur as early as a pregnancy’s 20th week. While, as noted, heavy vaginal bleeding is one of the more common signs of an abruption, the lack of heavy bleeding does not necessarily mean that an abruption has not occurred. Sometimes, blood can get trapped between the placenta and the uterine wall during an abruption. Even minor bleeding should raise concerns about the possibility of a placental abruption. Especially when bleeding is mild, an abruption can be difficult to detect. However, physicians should be able to determine whether an abruption has occurred through proper testing and monitoring of the mother and the fetus. This includes fetal heart rate monitoring, performing an ultrasound, or testing for anemia. Placental abruptions can vary in their degree of seriousness, but any abruption can pose a danger to the health of both the child and the mother. An abruption can deprive a fetus of oxygen and nutrients that need to be restored as quickly as possible in order to avoid causing permanent damage to the child. The heavy bleeding that often accompanies a placental abruption can result in significant blood loss for the mother, which can lead to further complications during labor and delivery. What steps need to be taken in the event of a placental abruption largely depends on how far along the pregnancy is when the abruption occurs as well as the severity of the abruption. If a mild placental abruption occurs fairly early and the baby or mother is not in danger or distress, doctors should be especially vigilant about monitoring the baby through the remainder of the pregnancy to ensure that the abruption does not become more severe. This may include hospitalization if the pregnancy is farther along or the abruption is more pronounced. If, however, a severe abruption occurs closer to the due date, an emergency c-section should be performed in order to ensure that any oxygen deprivation is immediately remedied. Especially when bleeding is mild, an abruption can be difficult to detect. However, physicians should be able to determine whether an abruption has occurred through proper testing and monitoring of the mother and the fetus. This includes, performing an ultrasound, or testing for anemia. When physicians and/or medical staff fail to detect the signs of placental abruption or fail to take appropriate steps to address this serious condition, birth injuries, stillbirth, or injuries to the mother may occur. When those injuries could have been prevented had the physicians acted properly, the family may have a claim for medical malpractice that can result in an award of damages and compensation. If you suffered a placental abruption during pregnancy and either you or your child suffered injuries as a result, The Rich Firm, PC, birth injury attorneys serving Washington DC, can help. Several of our attorneys are also medical doctors who can in many cases very quickly evaluate whether your doctor was negligent, saving you the months and expenses normally associated with expert review of your case.